across from the historic Ambassador Hotel (© Brian Brown/Beer in Big D). Prior to a ceremonial ribbon cutting attended by a trio of Dallas city councilmen on Wednesday, George Esquivel joked that he and fellow founders, Greg Leftwich and Steve Porcari, decided to do something a little different to celebrate the fifth anniversary of Four Corners Brewing Co.
"Most breweries typically pull out all of their really cool beers for an anniversary," said Esquivel. "We thought we'd open a whole new brewery instead!" Located in The Cedars district of South Dallas, Four Corners' new facility is an impressive addition to the neighborhood. The property itself is a two-acre spot that sits across from the historic Ambassador Hotel. On it exists a number of buildings that have a history all their own. "Several of the buildings were part of the Conley-Lott Nichols Machinery Co., which was active back in the late 1930s, early 1940s," explained Leftwich. "They were somewhat of a competitor to Caterpillar, selling road equipment and big, heavy machinery. The parking lot was a retail yard where you could come and look at the equipment, while our main building served as the repair shop." Inside the now revamped brewery building, Four Corners has installed a four-vessel, 50-barrel brewhouse, which outsizes the 30-barrel system the company employed while operating at its previous location in Trinity Groves. "The new brewhouse triples our capacity," said Leftwich. "It has many bells and whistles, but what the brewers are most excited about is the automated grain-handling system. It basically means they'll no longer have to lug grain back and forth around the brewery. 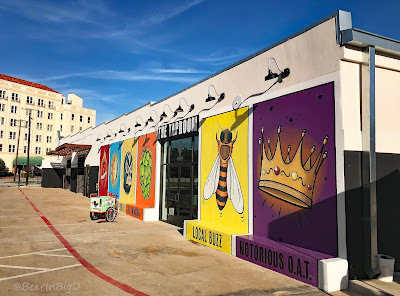 And with the tanks, the biggest additions are the 200-barrel fermenters (up from the 100-barrel fermenters used at Trinity Groves)." Left: A rooster still roosts on one side of the brewery building, this time as part of an artful window installation. Center: The Taproom at Four Corners will feature views of a yet-to-be-installed small-batch brewing system. Right: Brewing operations are underway, with the seasonal La Lechuza set to roll out to retail. (Photos © Brian Brown/Beer in Big D). Plans are also in place to bring in a new canning line to double production output. That and the brewhouse upgrades are necessary to supply an increased distribution footprint, which the brewery hopes will reach all major markets in Texas by January of 2018. As for where visitors to the brewery can expect to spend their time, another structure on the site is known as The Stables. Built around 1915, it was originally used as the stables for the Ambassador Hotel. Today, though, it houses The Taproom and a multi-faceted event space that will be made available for rent. "The taproom in the back of the building will be what's open to the public most of the time," said Porcari. "We'll open up the event space when we need a little more room, like if we're showing a sporting event or celebrating other special occasions." Still to come, the centerpiece of The Stables will be a 7-barrel brewing system set to be situated between the taproom and event area. Dubbed the "Brew Lab," it will allow Four Corners to brew one-of-a-kind, taproom-only beers separately from its production line. Food will be served on site as well, with small bites and shareable plates being the order of the day. "Chad Houser from Café Momentum is a very good friend of ours and he designed a menu for our taproom that we are confident will not be replicated anywhere else," said Leftwich. "It's very savory and complementary of the beer." 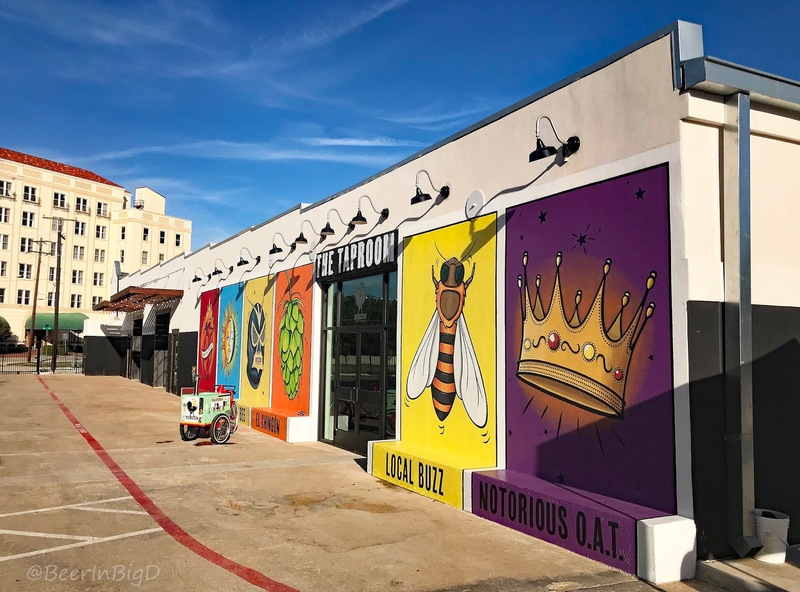 The public's first chance to check out the new digs comes this weekend, with a three-day grand opening celebration planned at the brewery. In addition to taproom hours beginning on Friday, the festivities will culminate with Four Corners' annual Dia de los Puercos event on Sunday. For details on that and more, check out the full schedule of events by clicking here.